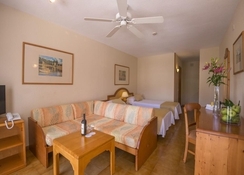 Enjoy a sun filled holiday on Costa Adeje by booking your stay at the HOVIMA Panorama. 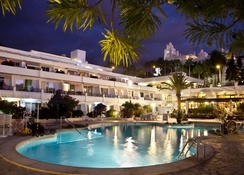 The HOVIMA Panorama is located in the heart of Las Americas only 350 m from the beach on the island paradise of Tenerife. This lovely part of the Tenerife coast has numerous local restaurants/bars and evening entertainment venues, suitable for all age groups and families. Situated in a quiet residential area and set in mature tropical gardens, this is a terrific complex for couples and families with 174 spacious studios and apartments equipped with modern amenities. 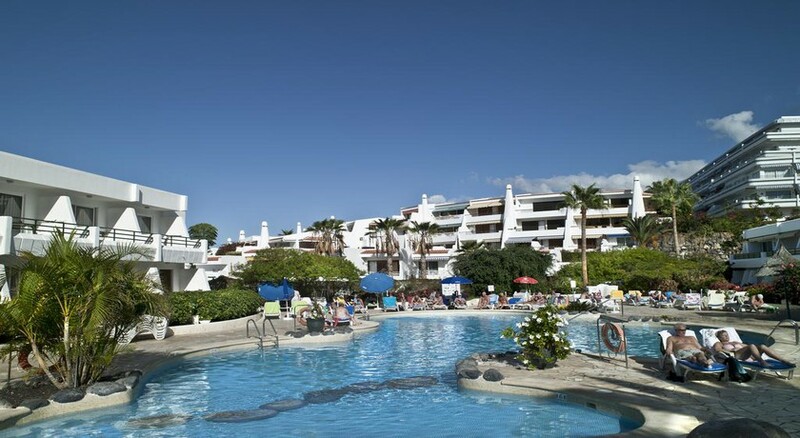 Guests to the HOVIMA Panorama can relax on marvellous beaches and explore countless attractions such as Aqualand in Las Americas and Tenerifes Zoo and Jungle Park, or just stroll along the promenade that lines the lovely beaches. 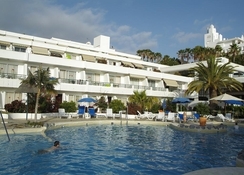 For an affordable holiday in sunny Costa Adeje, the HOVIMA Panorama is an ideal choice! Getting to the hotel: Tenerife South Airport is 18 km from the HOVIMA Panorama. Local Tips: Sports such as sailing, windsurf, water ski, horseback riding and golf can be practiced nearby. 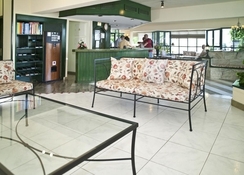 The facilities at the HOVIMA Panorama offer everything you need for a relaxing holiday. Food, drink and entertainment: The complex offers a buffet restaurant serving a variety of international and local cuisine and the pool bar that serves snacks from noon. The lobby bar is the place to be for the evening entertainment. Sports, games and activities: 2 outdoor swimming pools, parasols and mattresses by the pools (at daily extra local charge 1.5€ per item), table tennis, mini football, games room, TV room, a social lounge, a childrens play area. Additional: 24 hour reception, babysitting service, currency exchange, taxis and excursions, lounges, laundry, car parking area and a conference room. The HOVIMA Panorama features 174 studios and apartments. All units are equipped with WC, bath or shower, kitchenette, twin beds + sofa bed in the living area, Satellite TV, telephone, hairdryer, ceiling fan, safety deposit box (local charge) and terrace or balcony. Baby cots are available on request.